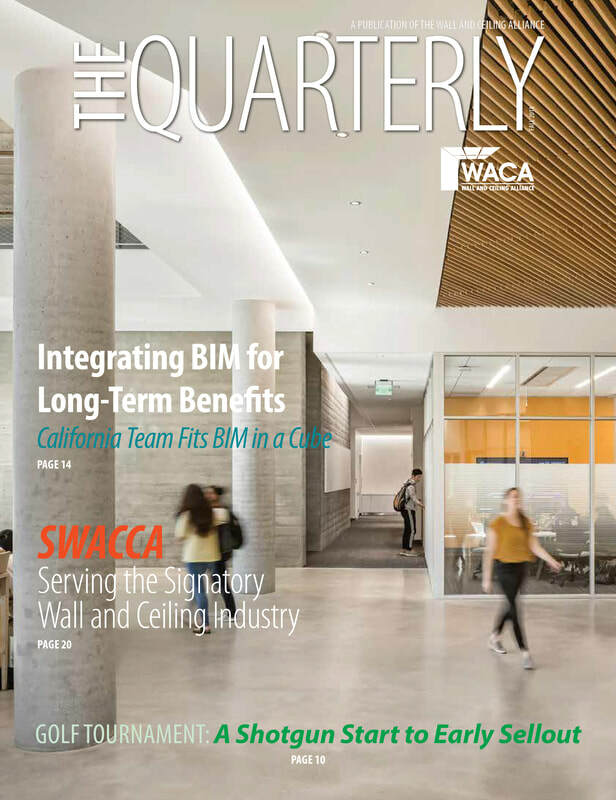 The Quarterly magazine is the official publication of the Wall And Ceiling Alliance. 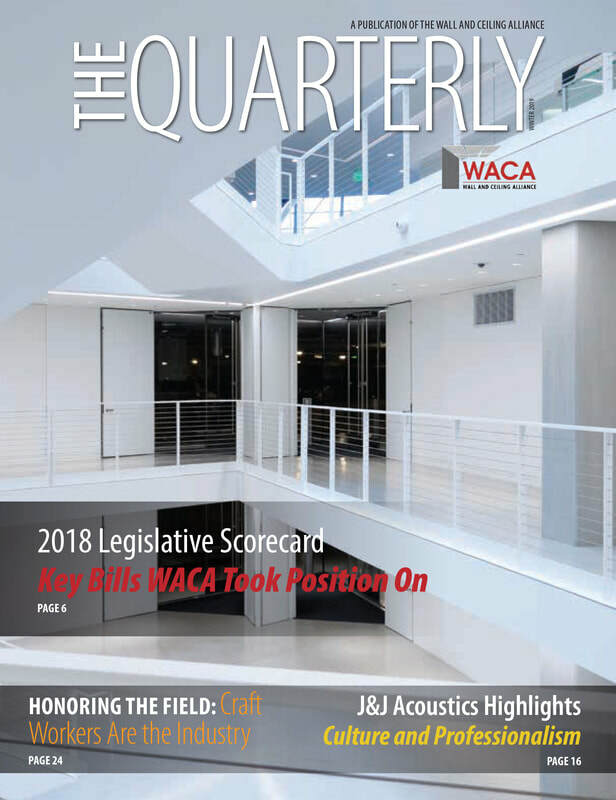 This professionally designed quarterly magazine is a critical component of WACA’s communications program and features relevant editorial for people and companies directly involved in the wall and ceiling construction profession. 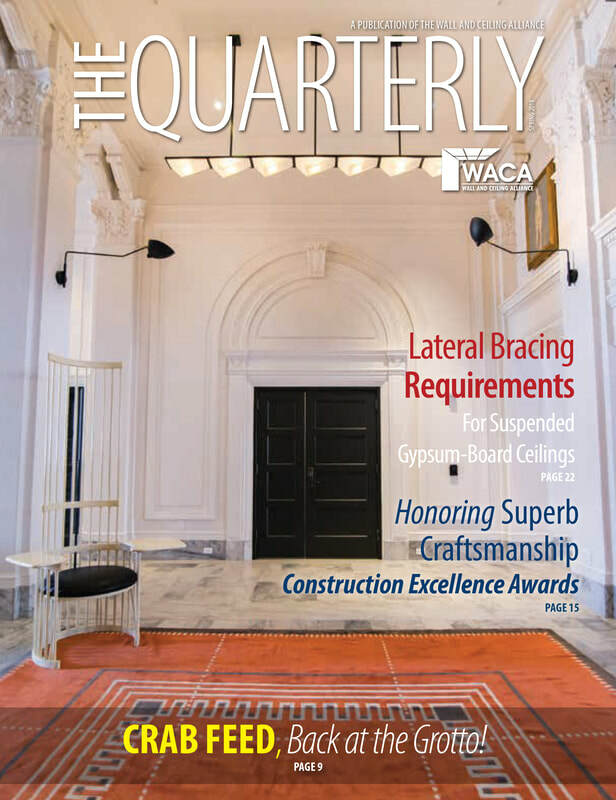 The Quarterly magazine has become one of the leading signatory wall and ceiling publications in the country. If you are in the wall and ceiling industry and would like to extend your networking and outreach, there's two ways of doing this. 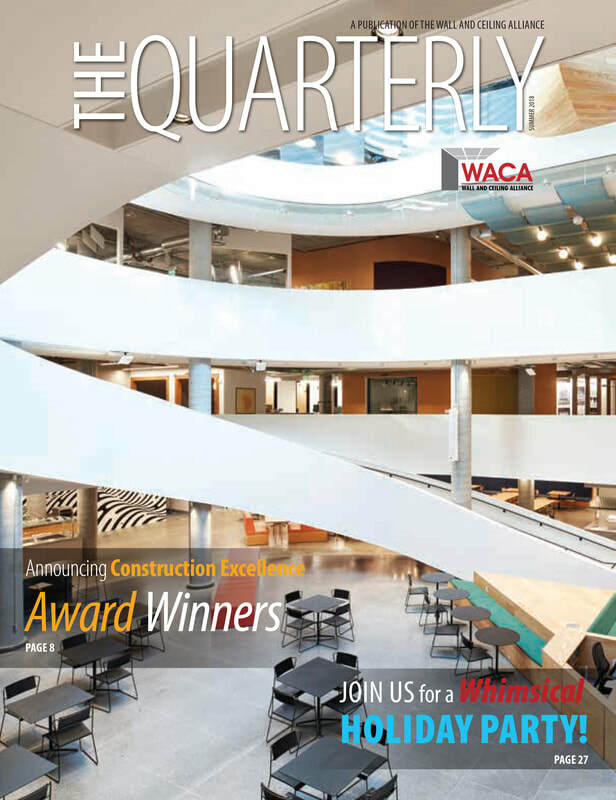 First, by joining our group as a WACA member. By becoming a WACA member, you get all the membership-only invitations to private meetings, events and resources. Second, you can advertise in our magazine, The Quarterly. Our magazine is distributed four times a year and circulates throughout California, extending across the United States. For ad space rates, click here.